I remember a time where my employer was paying for my mobile phone, my laptop and my internet provider…With the reduction of IT budgets and the evolution of mobile technologies, the times are changing and the working habits are changing: the time of carrying 2 phones, your personal phone and a phone provided by your employer, and the time of the employer providing a free smartphone you may like, those times are over, and therefore more and more people are now bringing their own mobile device, smartphone, tablet or laptop, to their workplace, and more and more companies implement a Bring-Your-Own-Device policy (BYOD). However it means IT has to manage new and more devices; In a budget perspective it means IT is replacing CAPEX (Capital expenses) for OPEX (Operational Expenses). A recent survey from CDW, shows that IT managers surveyed report that 89% of their employees use personally owned mobile devices for work. But is your enterprise ready for it? 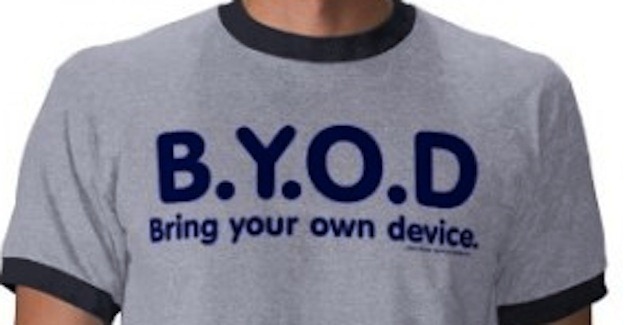 And is your Datacenter ready for BYOD? BYOD requires a strategy, process and policies, as well as hardware and software platforms, and applications, to secure, support and manage these new devices and endpoints. 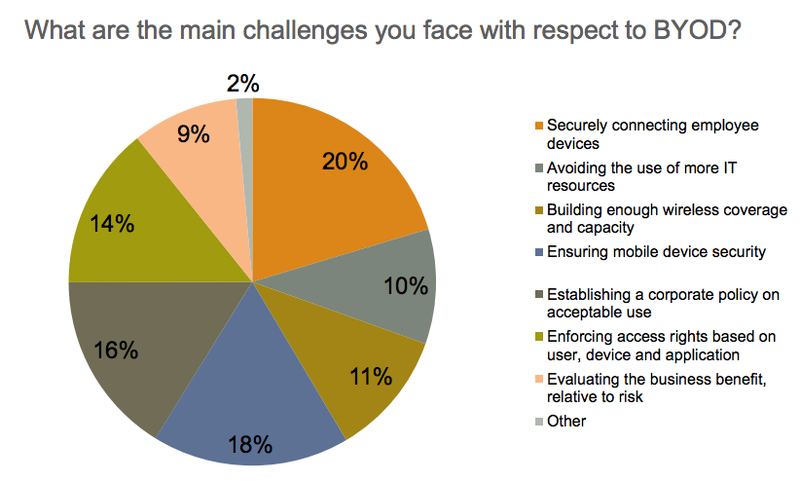 So what are the challenges facing your organization? What are your user’s expectations? What do you have to do to be successful? A new survey conducted in EMEA showed that 70% of the enterprises surveyed allowed their employee to bring their own devices, 40% allowing access to corporate applications and 30% allowing only access to internet. 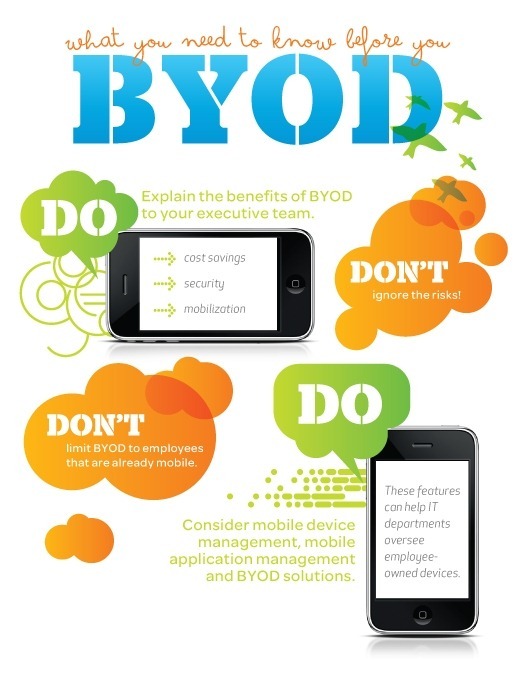 2- What are the benefits of BYOD for your organization? – Improve communication between field and office personnel as well as increased availability to customers – resulting in better customer service. 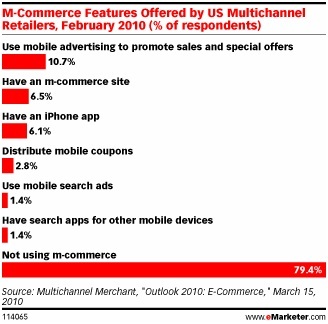 The CDW survey also shows that 67% of small business mobile device users believe their company would lose competitive ground without mobile devices, and 94% believe their mobile devices make them more efficient. 85% of IT managers believe that mobile devices make their company more efficient. 3- What are the users expectations? 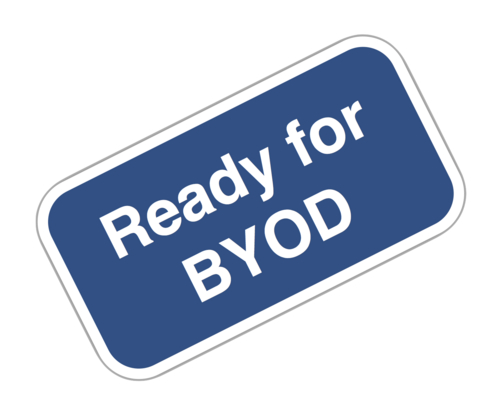 Based on a Forester research, 60% of companies offer BYOD, and Gartner predicts it will be 90% by 2014, accessing company data with at least 2 mobile devices. 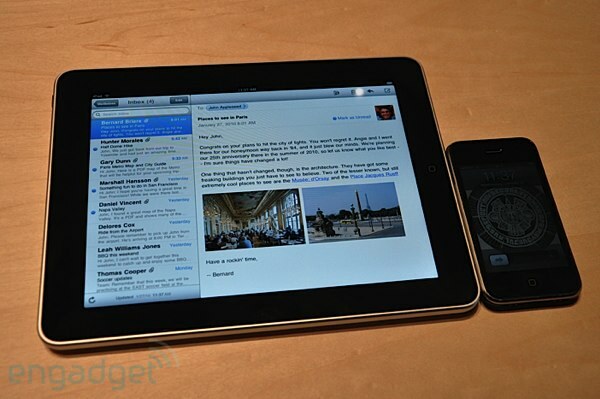 – Users want to be able to keep using personal apps as facebook, twitter, iCloud, Pandora, Spotify, dropbox etc. Best scenario would be to create virtual separation on mobile devices applying different policies to personal and company data. 4- What do you have to do to be successful? – Implement a Mobile Device Management (MDM) solution. 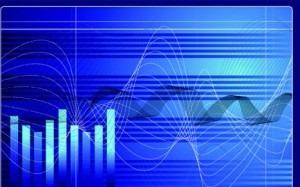 – Monitor results: security, performance, resources, cost, employee and customer satisfaction. 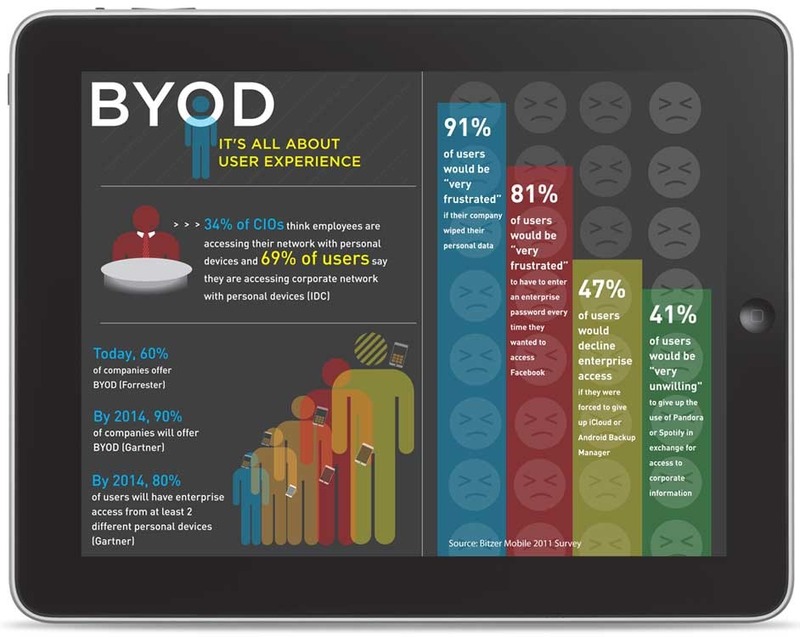 In summary, Does BYOD make sense for all businesses? Probably not. Different organisations have different business needs and security requirements and Risk policies. Does it always provide all benefits promised? 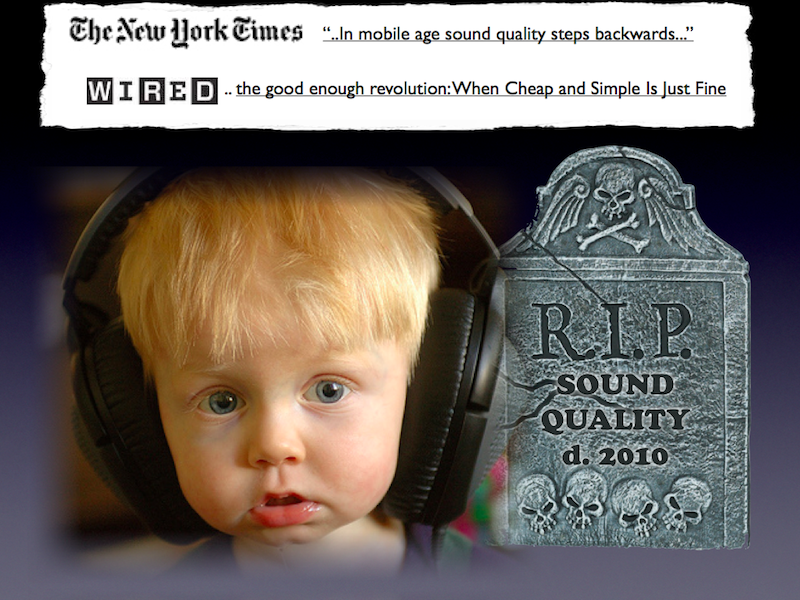 Probably not. Some businesses will get more benefits than others. As an example, about Capex vs Opex expenditures, Kris Lovejoy, VP of IBM IT Risk Management, declared at the recent Reboot Ottawa Conference that IBM spends more on securing and managing employees purchased devices than they do on those provided by the company, even when cost of the device has been factored in. BYOD has become one of the main drivers of IT and Network transformation, it poses some serious challenges to IT organisations and to datacenters but it can be successfully managed and the benefits are real and worth embracing it. However One Size Does Not Fit All ! I mainly work from my home office, but tomorrow I will bring to my company corporate office my own BlackBerry Bold and my own Blackberry Playbook tablet to work, but will still bring my company owned Lenovo laptop. They’re better be ready, I know they really are as a matter of fact, but ARE YOU READY? 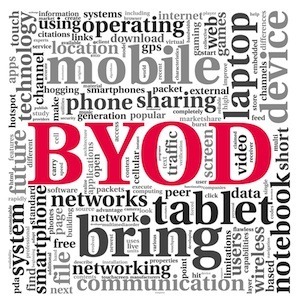 and IS YOUR DATACENTER READY FOR BYOD? 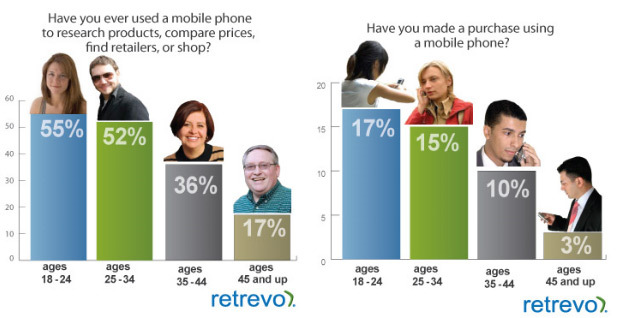 1- Size does matter: what is the right size for a unique mobile device ? My first mobile phone, in the late 80’s was huge and mainly usable in my car only, with a heavy transmitter in the trunk, and the price per minute was a luxury, then my cell phone got smaller and smaller and I could carry it anywhere in my pocket, then I had a Palm, then I jumped on the first Blackberry coming to market, and my latest Blackberry is smarter but bigger as all the new Smart phones, bigger and bigger. My charming wife, an Apple Fan, of course uses an iPhone and dreams of an iPad, while my youngest daughter uses a phone with a keyboard, mainly to text her friends as well (hopefully with an unlimited text contract!) and an iTouch for emails, twitter and youtube…They play music and videos, they take pictures, they are wifi enabled, they are more and more powerful and can run apps, but still all those smart devices are quite big and still too small to really be used as a professional computer. Meanwhile, my laptop is getting thinner and thinner, the screen smaller and smaller, as well as my wife’s iBook, and my son’s Netbook is tiny tiny. 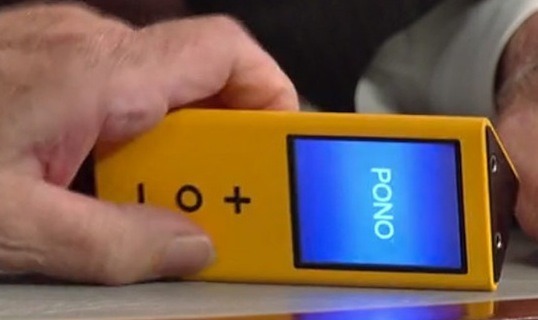 Yes, we can use it as a VoIP phone at home, in an hotel room, or this type of places, but not really convenient on the road or streets, as an example. Now, the problem is, we are still carrying two devices, as smarter as they are, and I suppose everyone, just as I do, really wish to carry only one, so the BIG question now really is: What size is acceptable for a unique mobile device ? So what size and when ?